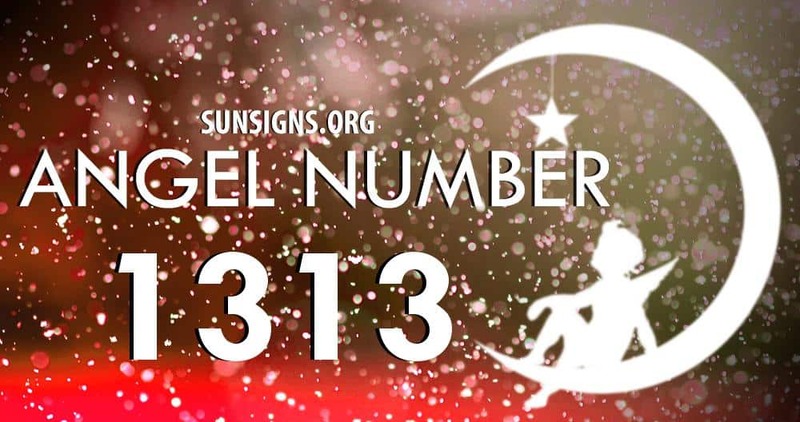 Angel Number 1313 is a message from your angels and the higher powers that they are sending you positive thoughts and all good energies. Number 1313 says you can hold onto them when you need a boost to keep going on the path that you are working on right now. Angel Number 1, repeating twice in this Angel Number as number 11 is asking that you keep your energies positive so that everything you put out into the world is good. This is extremely important to both the angels and everyone around you that you love, as they will feed off the energy that you put out. You want to make sure that it’s as good as possible so that everyone can have positivity around and inside of them. Angel Number 3, repeating twice as 33, asks that you pay attention to the guidance the angels are trying to share with you. They have been working hard at trying to get your attention and this number is repeating because you haven’t been listening to them. Angel Number 13, a double repeating number in this Angel Number is a reminder that some destruction and problems are going to pop up in your life before you get to the good times. Your angel numbers remind you to trust them during this hard time and remember that you are never alone in the hard or the easy times. Rely on them to lead you through everything safely. Angel Number 131 assures you of the higher powers that are filling you with courage and your angels are there close by with an extra dosage in case your need it. Rely on them to bring you through the fear and confusion with their trust and love. They are always there for you. Angel Number 313 reminds you that you are surrounded by those who love you, including your guardian angels. Rely on that when you need something to spur you on. Angel Number 1313 says you can continue on the positive path that you are weaving with all of the great work you are doing. That paired with the help of the angels, should help you get to success.